This was a project gone wrong that I saved from my daughter. 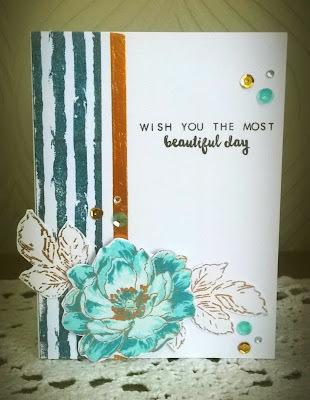 She had stamped the striped side section and then got a smudge on the card and wanted to through it away............ being the frugal crafter I am I couldn't allow that to happen. I added a strip of copper foil which covered the smudge and then stamped and fussy cut some foliage and a flower. I stamped the sentient in black ink and added some sequins and gems to embellish the card. 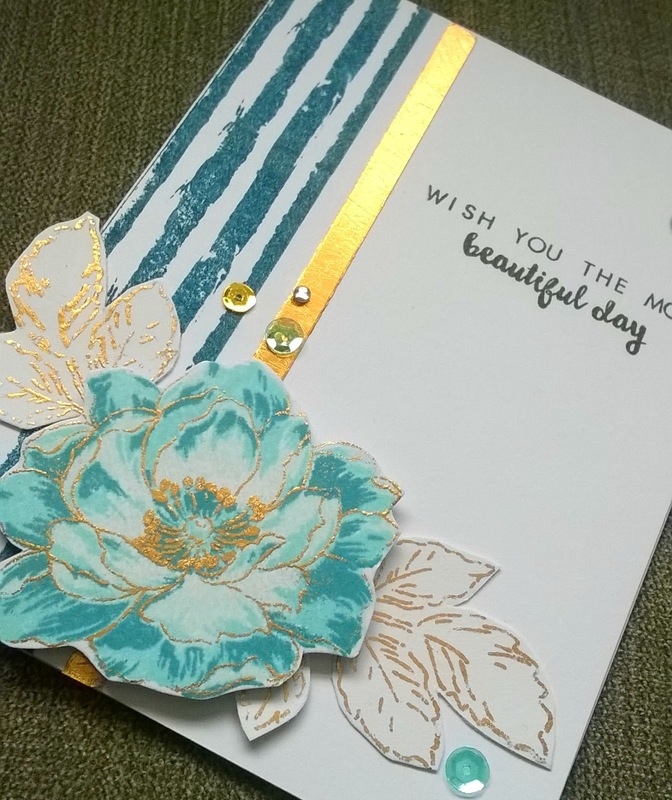 I added copper foil outlines to the flower and leaves to tie the whole composition together. Hopefully you're as frugal as me and save your mishaps and make them into something pretty.